Jeune, who became an Eagle after spending two seasons at Rutgers, drained a career-best tying six triples and logged a game-high 26 points to help her squad knock off Tennessee Tech on Thursday. Jeune was an efficient 6-for-12 (.500) from beyond the arc and 10-for-20 (.500) from field on route to her 11th game of the season with over 20 points. Jeune also hauled in six rebounds and dished out five assists in the win. The 6-foot-1, Westampton, N.J., native closed the week with a 12-point outing in a win against Jacksonville State on Saturday. Jeune was held in check from behind the arc, but found her way to the bucket and chipped in four field goals from the paint and made 4-of-5 (.800) shots from the free-throw line. Jeune grabbed seven rebounds against the Gamecocks. 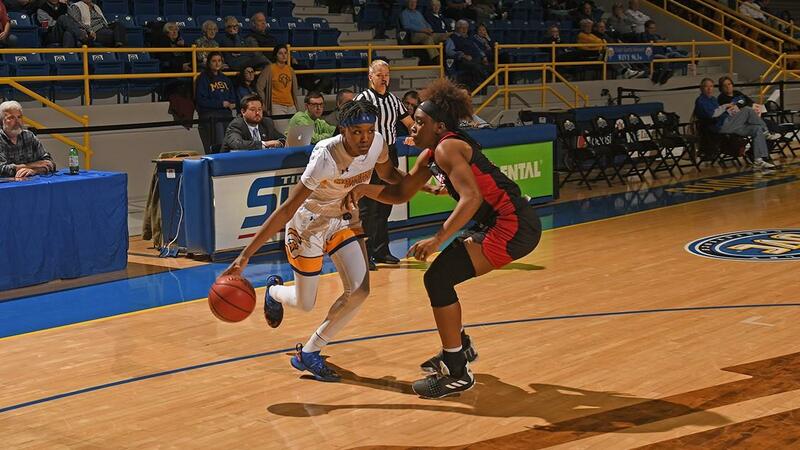 "Aliyah continues to improve her overall game," said Morehead State head coach Greg Todd. "Her ability to attack the basket, defend multiple positions, and pass the ball have made major strides since we tipped off in November." Jeune is currently the leading scorer in the OVC with an average of 19.3 points per game for the season. In the Eagles eight conference games, Jeune is averaging an OVC-best 20 points per contest. Jeune and the Eagles, who are currently on a five-game winning streak, are set for challenges on the road this week against SIUE (Thursday, 12:00 p.m. ET) and Eastern Illinois (Saturday, 2:00 p.m. ET). Both games will be streamed on ESPN+.